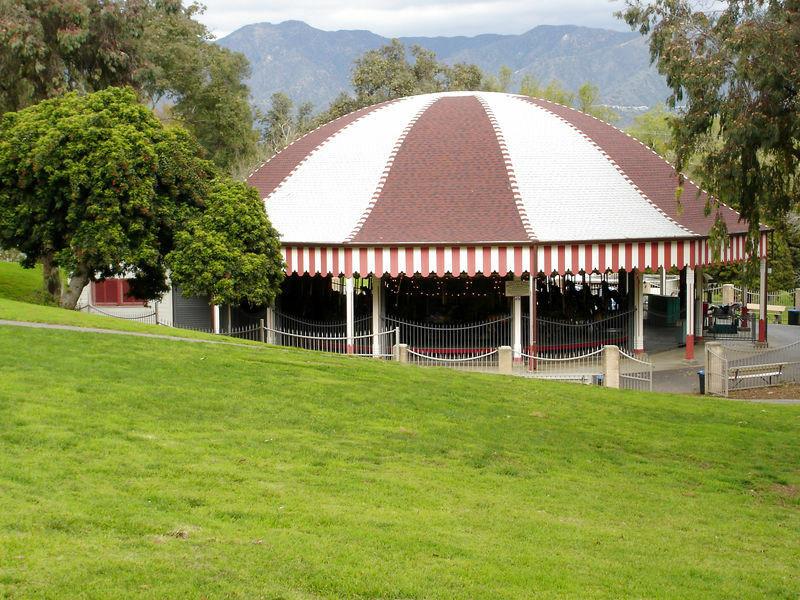 One can only imagine the energy running through Walt’s head as he sat at on that “dirty” Griffith Park bench, watching his two daughters ride on the nearby carousel. Walt Disney claims this to be where his dream of Disneyland first began. You wonder what sparked the dream. Sure, Walt loved trains, and perhaps wanted a place he could showcase that love. Certainly he thought his films and their stories were great enough to replicate in the third-dimension. The idea of creating a theme-park had to have intrigued someone with the urban-developing and civil-designing mind that he had. However, this author best assumes, from the stories I’ve heard told, that Walt Disney’s dream began not for any type of self-aggrandizement, but for his daughters. Watching Diane and Sharon ride around and around on that carousel, he began dreaming of a land, a kingdom where his two daughters could have all the clean, safe, imaginative fun that their hearts could dream up. Such a place was what Disneyland became. I see Disneyland and all other Disney Parks to be more of a “grand playground” for a man’s daughters than anything, a thoughtful gift from father to child, part of why I think those parks are so personally endearing. 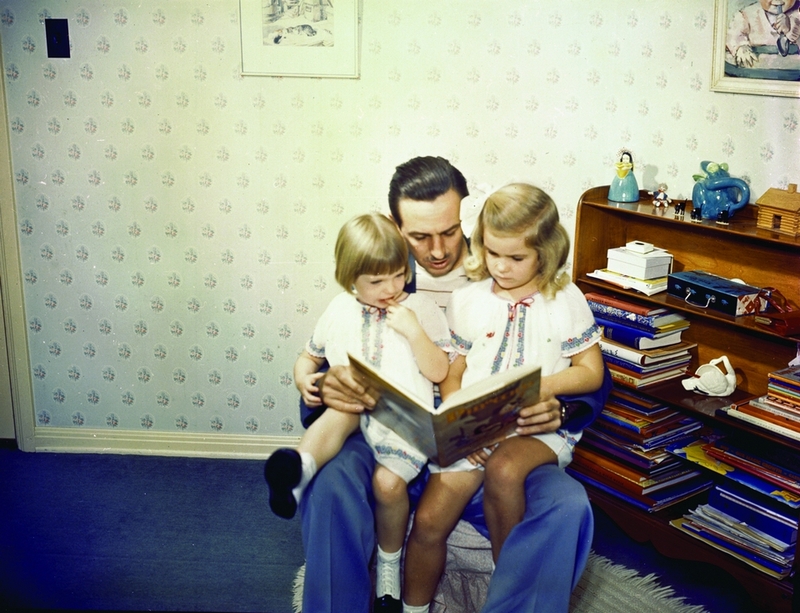 Walt Disney shares a story with his two daughters, Sharon and Diane. Such seems to be the case with all of Walt’s creations. His dreams began at his home. His children had began reading these little story books about a nanny in England that flew around with an umbrella. His children loved them so much, he thought certainly he could bring this “Mary Poppins” character to life for them in a far greater way. It’s my opinion, and you can hold me to it, but if it wouldn’t have been for Walt’s two daughters, I can’t imagine many of Disney’s greatest moments ever coming to fruition. They certainly wouldn’t have turned out the way they have. There certainly wouldn’t have been the same motives behind it. We have so very much to thank his girls for. It hurts my heart to report that Diane Disney Miller, the oldest of Walt’s daughters, has passed away due to complications from a fall she had taken earlier, at the age of 79. 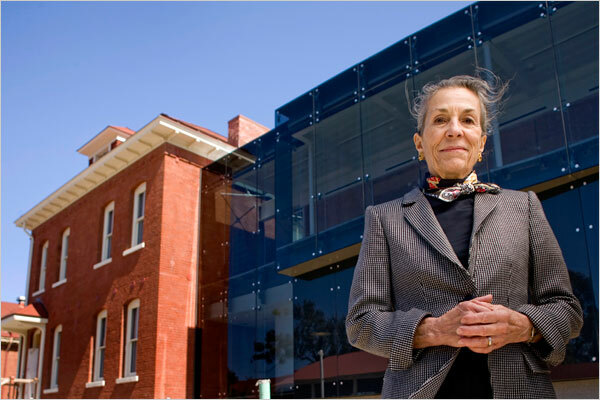 Diane Disney Miller, standing in front of one of her greatest contributions to the DIsney legacy: The Walt Disney Family Museum. I can claim absolutely no close, personal association to Diane, or with anyone in the Disney family. I am merely an admirer of such. However, this news comes as such a hit to the heart to all of us Disney loyal. Diane was the last surviving member of Walt’s immediate family. Truly, she was the sole biological child of Lilian and Walt. As such, she had a way of catching my attention when I saw her on-screen in several various Disney documentaries. The thought was always, “I’m looking at Walt Disney’s daughter; can I see Walt in her?” You always could. That twinkle in Uncle Walt’s eye we’re all so very fond of was present in Diane’s. The simplistic joy she expressed as she relived stories of her growing up as the daughter of Walt immediately identified her as a Disney, her father possessing a similar enthusiasm for story-telling. Diane, thank you for helping to tell your father’s story, for being such “a fierce guardian” (as Bob Iger so aptly put it) of his name and legend. In doing such, thank you for sharing with us your own story, for showing us that the “Disney magic” wasn’t exclusive to one man. Diane, we’re so very sad to see you go. With all of our hearts, we say “thank you.” My thoughts and prayers extend to the family and friends you’ve left here. I hope your reunion with your dear sister, with your father and mother, was as sweet and joyful as you’d ever have dreamed it to be. The author recommends reading THIS ARTICLE PUBLISHED BY THE LA TIMES for a more concise, informative post on Diane’s passing.